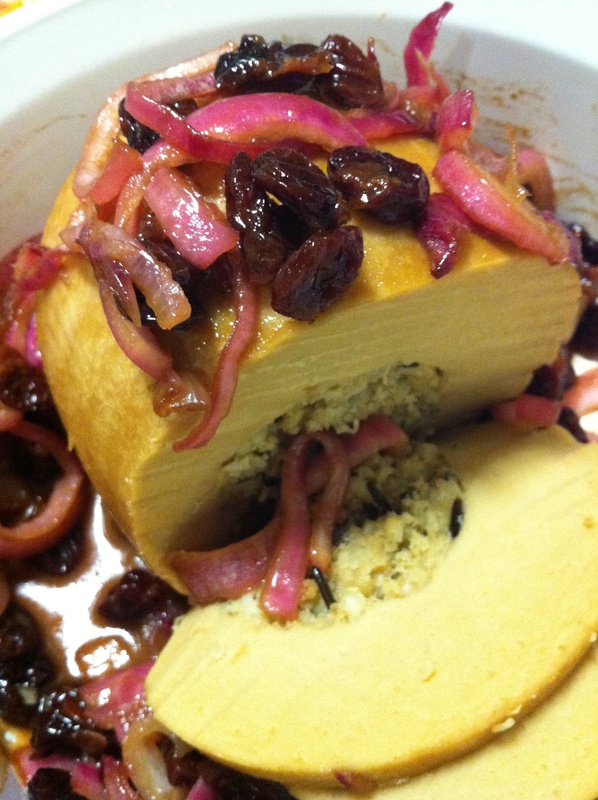 So I was never a fan of Tofurky roast until my mom introduced me to this recipe made with cherries and vinegar. We like it so much that I will usually buy extra Tofurky’s and freeze them so we can make this a few times. The leftovers make great sandwiches which has always been my favorite part of Thanksgiving. What’s your favorite way to make Tofurky? If you have a link please share. I chose to use a red onion.